Having a sick cat is never fun, but unfortunately, it can happen. So if you own a cat, then it’s better to know what health problems most commonly affect felines, so that you can recognize them if they occur. 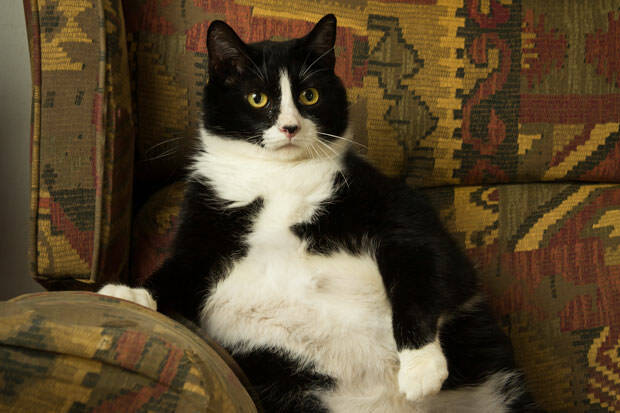 Obesity has become the number one health issue for cats over the last couple of years. The problem is that people often think that loving their pets equals feeding them all the time, and they forget that quality is more important than quantity. It’s not just about how much you feed your cat, but also what weight you feed him to. Obesity is a legitimate health issue, not just a cosmetic one. It’s bad for people and it’s bad for cats too. It can lead to other, potentially more dangerous health problems, from joint problems to liver disease and diabetes. Obesity is particularly present among spayed or neutered cats, whose daily caloric need is reduced by 30 to 40 percent. One of the signs that your cat is overweight is if you can’t feel his backbone and ribs without having to press hard. In order to prevent obesity, owners should cut down on calories they give their cats and also make them exercise more.